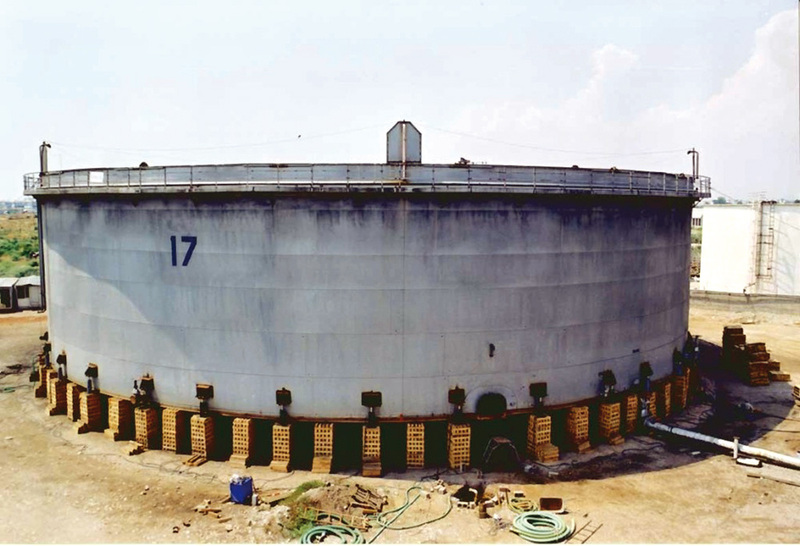 The method can be used during maintenance and repair works on storage tanks in cases of severe erosion of the subsoil condition under the bottom of the tank. 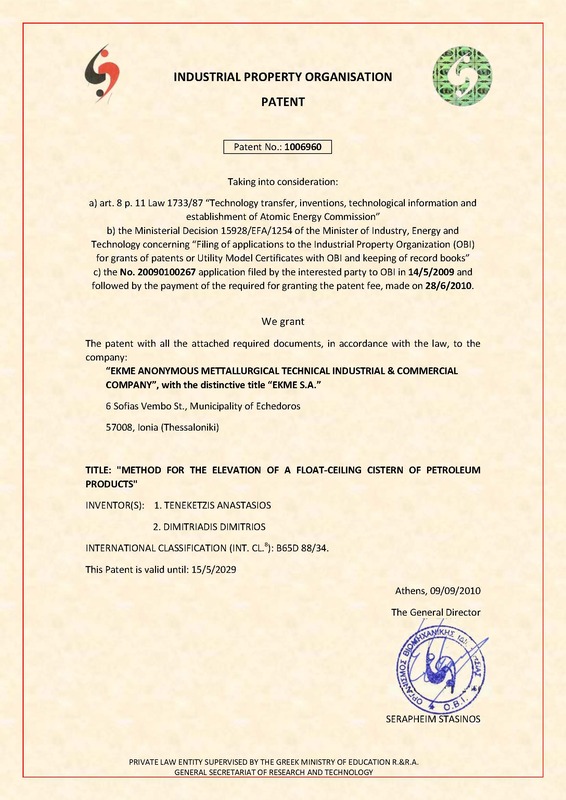 The patent can be used on both floating roof and fixed roof tanks and have been applied so far on tanks of approx. 45 m diameter. It is a practice that prolongs the life span of the tank and also prevents from leakage from the tanks shell that could result to serious environmental accidents. Using high-power hydraulic jacks coordinated through common pump units and controls, the entire tank is lifted to the desired height and is safety secured by means of guy ropes and appropriate tacking. The lift creates a workable space underneath the tank in order to execute the necessary works to improve the subsoil conditions by removing and applying fresh layers of material and then compacting it to the desired degree. Furthermore, tank bottom plates can be sandblasted and re-coated very effectively to improve their corrosion resistance. The method can be used in existing storage tanks that have to be departmentalized in order to create four separate compartments within a common tank shell. This is achieved by installing an internal cross type steel diaphragm which partitions the tank into four equal compartments. 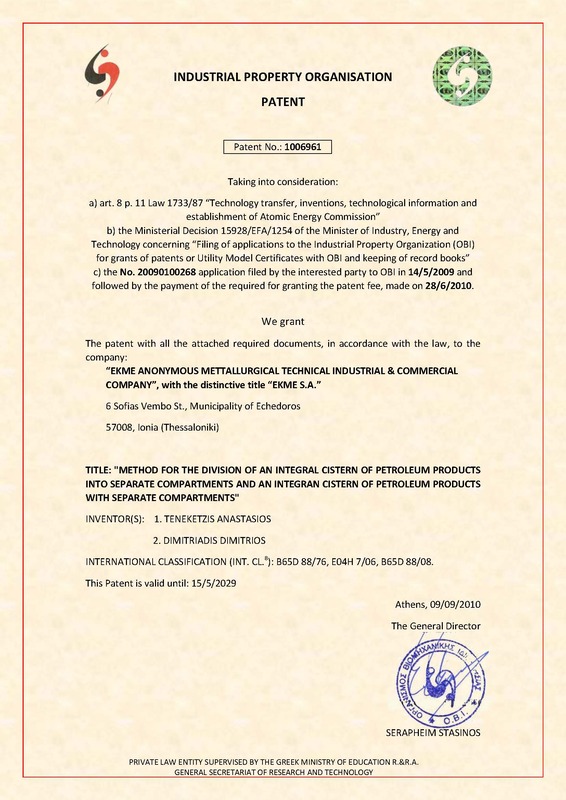 Gas cleaning and “Gas Free” certification of the tank. Dismantling and removal of existing roof structure. Construction of concrete foundations for the steel diaphragm walls. Repair and replacement of bottom plates. 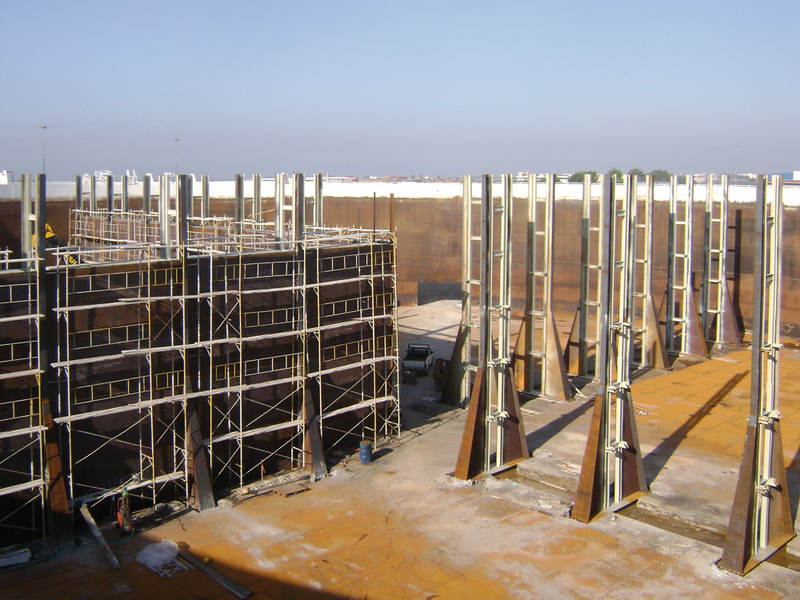 Prefabrication of diaphragm wall, new roof structure (if needed) in EKME’s Thessaloniki shop. Installation of new interconnecting piping between the four new tank compartments and loading facilities. Hydrostatic testing of all four (4) compartments. The storage tank has now four (4) separate compartments that can be autonomously used, loaded and unloaded thus increasing the flexibility of the storage facility.